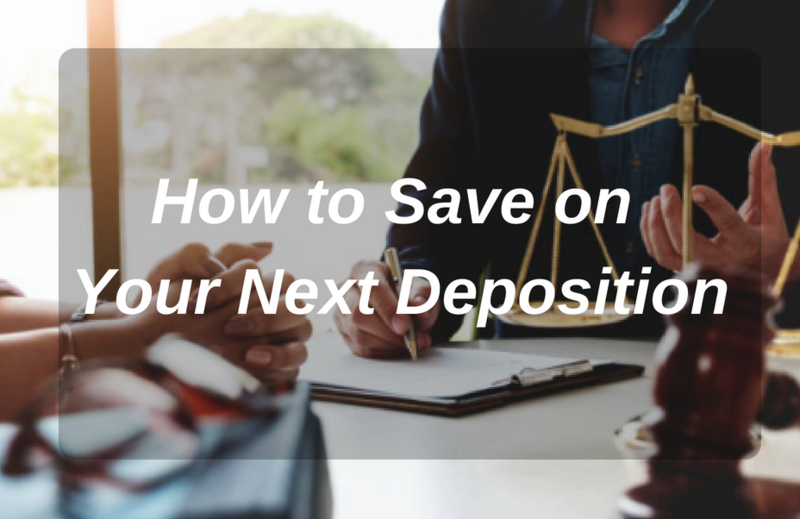 Free Report "How to Save on Your Next Deposition"
As a legal professional, you are always looking for ways to save on your next deposition for both your firm and your client. You may be looking to save time or money, but what if we told you that you could save both? Because let’s face it, in the legal industry, time is money. Enter your information in the form to receive your free guide “How to Save on Your Next Deposition”, so you can learn how to save both money and time on your next deposition.